Today was our 100th day and it was quite chaotic! Even with this short week, we managed to squeeze in everything we needed to and have a mini-celebration for being 100 days smarter! We made 100 day necklaces and these too cute gum ball machines. I pre-cut the patterns and the kiddos counted to 100 and used [affiliate link] bingo dot markers to make 100 gumballs. Here they are hanging in the hallway! I made these labels and just stuck them on each gumball machine...too easy and super cute! Thinking about doing this with your class? You can grab the labels right here! Just print them on [affiliate link] Avery 5164 shipping labels (or any other 3 1/3" x 4" label). Happy 100th day! I love the gumball machines! This is really cute idea and I haven't seen it on Pinterest yet. Thanks for sharing! This is sooooo cute! I am totally tucking it away for the future! I am trying to drop hints to my administration about my desire to go to first grade at some point! Thanks for sharing! Do you mind to share the dimensions for the gumball machine? 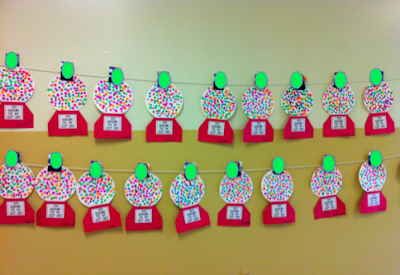 Our 100th day of school is Tuesday. I've pinned your idea and plan to have my class make them next week! This is sooo cute...I'm super glad my 100th day isn't for 2 more weeks. Thanks for sharing..I just started following you! Very cute! I am totally going to do this idea! 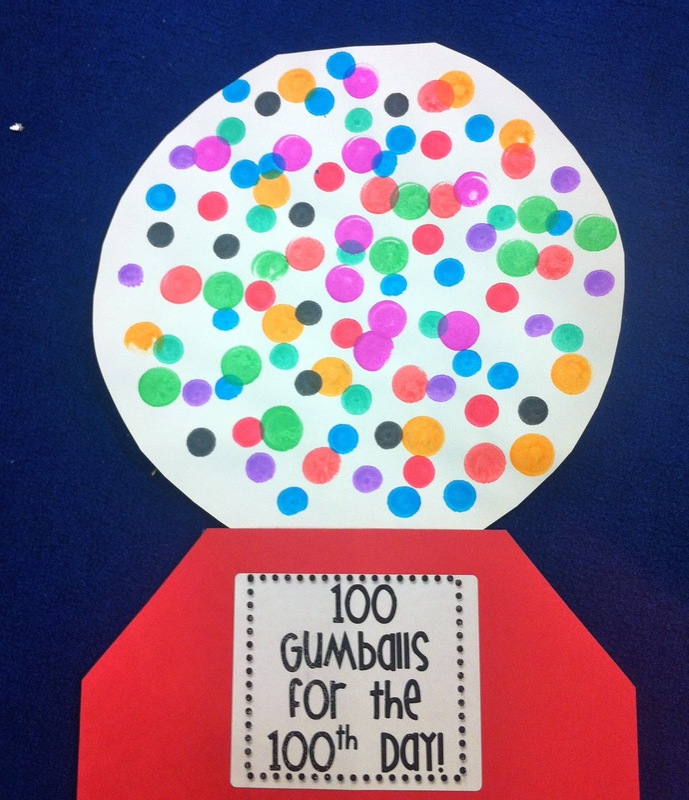 I think I will make them do 10 gum balls each of 10 colors to they can count it easier! Thanks! I better get to work getting this ready! I'm so doing this tomorrow for our 100th day! So super cute! Thanks for sharing! I'm a new follower and LOVE your blog!!! 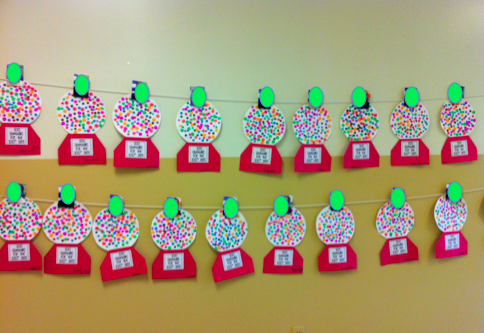 My daughter wanted to do a 100th day activity at home to show off in her Kindergarten class today. We had poster board and bingo dabbers on hand so it was quick and easy to put together. I found this on your site by googling 100th day bingo dabber activity! Thanks for sharing. 100th day is next week. I love this! Thanks for sharing. I'm going to try and incorporate this tomorrow!